Please visit Mr. Sharp's blog to see which book he read. I predict he read The Surrender Tree. This video provides a nice overview of Jacqueline Woodson's work. 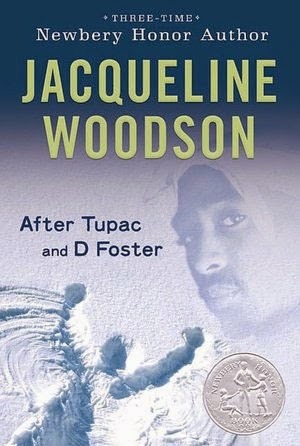 Borrow After Tupac and D Foster from your school or public library. Whenever possible, please support independent bookshops.